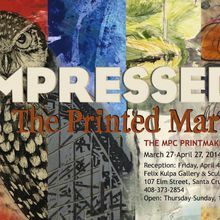 Using traditional as well as experimental processes devised by its members, the MPC Printmakers will present an exciting show of over 50 original fine art prints including etchings, woodcuts, screenprints, monotypes, monoprints and mixed media prints. 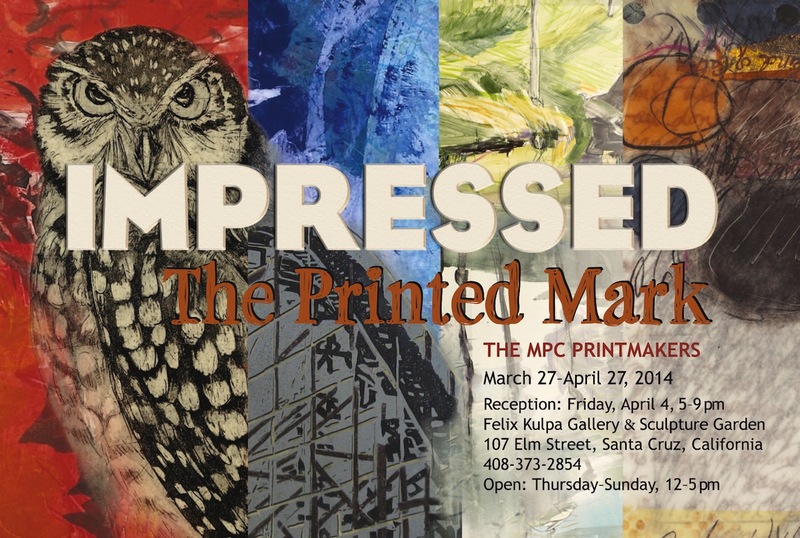 The MPC Printmakers is an association of over ninety established and emerging artists supported by the Monterey Peninsula College Inter Club Council. Under the leadership of faculty advisor Robynn Smith, the club's goal is to provide a forum where printmaking ideas can be shared with one another and the larger community. 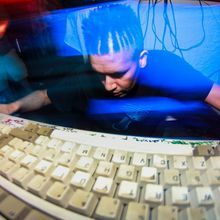 Membership is free and open to all fine art printmakers.